The 1880 cent is a relatively common coin that presents few obstacles to the collector. 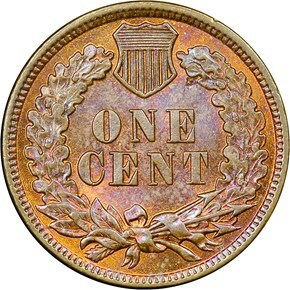 Only in the highest grades or with full red color is this issue rare. 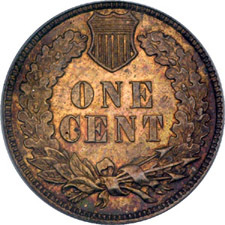 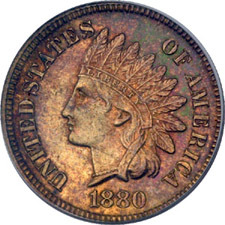 One of the more spectacular Indian Head Cent varieties is unique to this date. 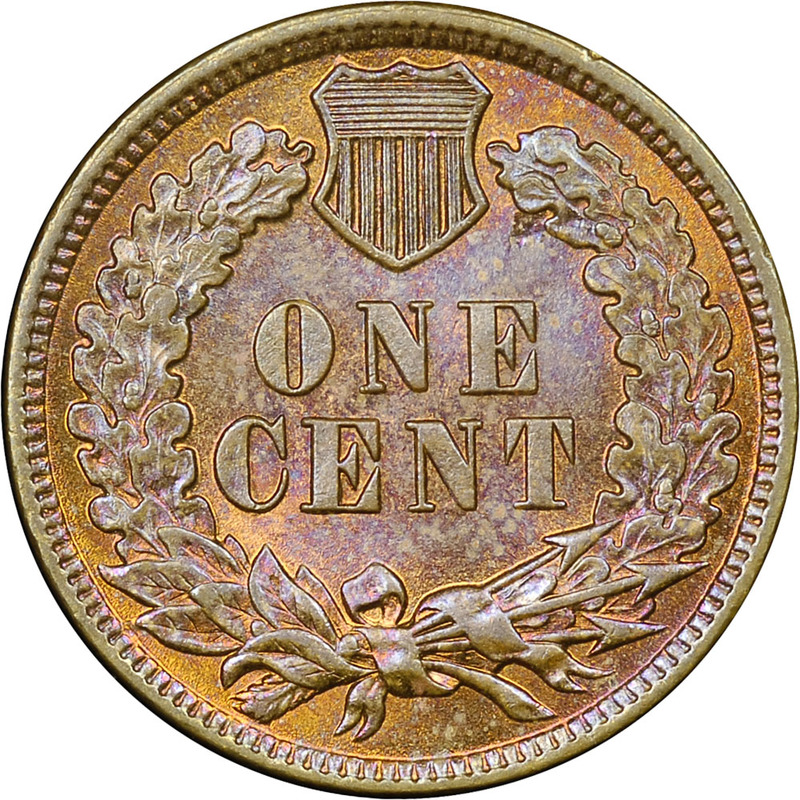 The designation MAD stands for Mis-aligned Die-Clash, and it describes the reverse die of this variety, which shows an arc of denticles. 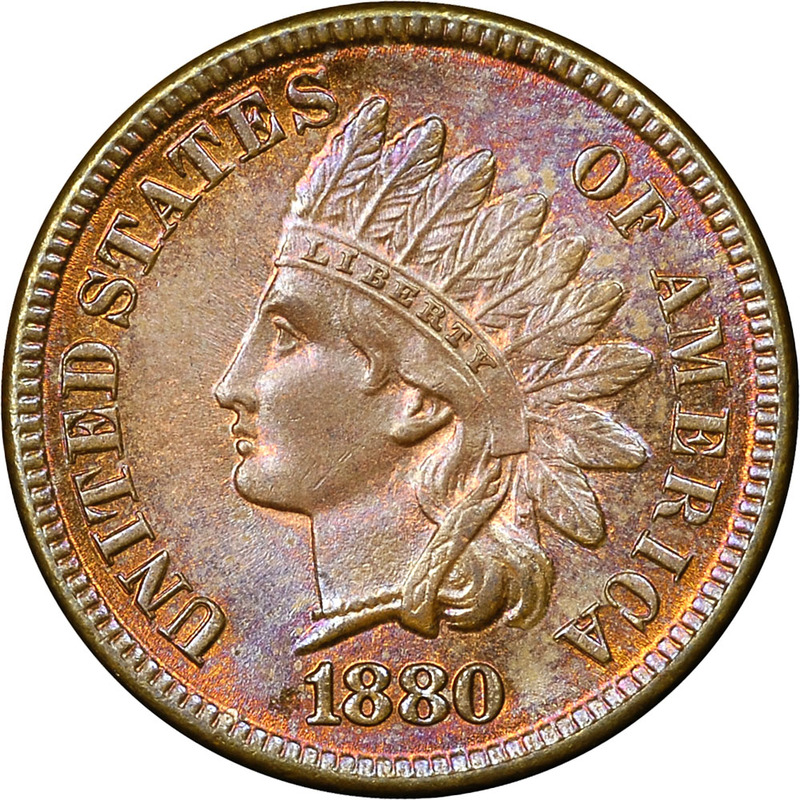 It appears that another die, presumably the obverse, struck this die with enough force to leave a bold impression.